Your body sends you signals every single day – some of them you listen to, and some of them you might not be hearing. For example, you know you’re allergic to something if you start sneezing or itching, you know when your bladder is full, and you know when you’re hungry or thirsty – all because your body let’s you know through some obvious, and less obvious, signs. But when it comes to the signs of hormonal imbalance often we may notice the problem, but assume it’s either a) normal or b) something we just have to put up with. Women tend to be socialized to believe that having hormonal symptoms is part of being female and having a female body, and that nothing can or should be done about it. 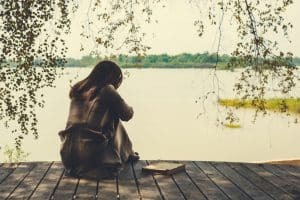 It really saddens me to know how many women suffer year-in-year-out, not realizing their hormonal imbalance issues are not normal and are very treatable. If you seem to have terrible PMS between ovulation and the start of your period, the whole time or just a part of it, then your body is yelling at you loud and clear. Feeling moody, sad, anxious, or just miserable is not normal (although many women are in the same situation) and it’s not necessary. If you dread this time of the month knowing you’re headed for a big fight with your partner, a falling out with friends, or just a lot of nights home alone feeling bad – take note. It doesn’t have to be this way. Your body is asking you to do something – and that something is to support it with the right foods and supplements so that your hormones come back into balance. I live a PMS-free life and you can too! In fact, I have renamed Pre-Menstrual Syndrome as Prioritizing MySelf – as this is the time in my cycle when I like to do extra self-care and really take care of my body and my mental health. Estrogen dominance is often the root cause of PMS problems – you can start lowering your estrogen levels today with foods and supplements. Using the MyFLO app you can get tailored advice in your pre-menstrual phase, prompting you to eat the foods that will support you hormones and to practice the self-care techniques that will sooth all your symptoms. If you see brown blood as the marker of the beginning of your period or if your period tapers off into brown spotting, or if you have both of these menstrual experiences, then you are experiencing a hormonal imbalance. The brown blood is actually leftover from the last time you menstruated. Many women don’t even think to look at their period – or feel grossed out by doing so – which is a shame because you can learn so much from observing the color and consistency of your menstrual blood. Low progesterone levels prevent your period from starting and stopping as bright red flow, how it should be. You can start boosting your progesterone levels today with foods and supplements. You can also take my Period Type Quiz to discover more about what brown spotting means for your health. You may not be aware of this, but when you’re on most forms of hormonal birth control you do not have a period. The bleeding you experience is actually called a “withdrawal bleed” and is not, physiologically speaking, the same as menstruation. So, hormonal birth control doesn’t really “give you” shorter, lighter periods – it stops your periods completely and replaces them with withdrawal bleeds. Hormonal birth control also does not regulate your cycle, because you don’t experience a cycle. However, this is what we’ve been taught and is often how we’re presented with the pill, patch, or ring as a way to solve our period problems. 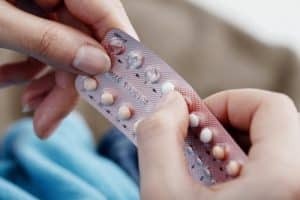 Hormonal birth control is also not a true medical treatment for PCOS, ovarian cysts, fibroids or any number of hormonal health issues – it can help manage symptoms for some, but it does not actually resolve the problem. Meaning, when you come off the birth control, the problem will return. Synthetic hormone-based medications have so many side effects, both short term (IBS, increased allergies, fatigue, anxiety) and long term (heightened cancer risk, blood clots and stroke, nutrient deficiency). 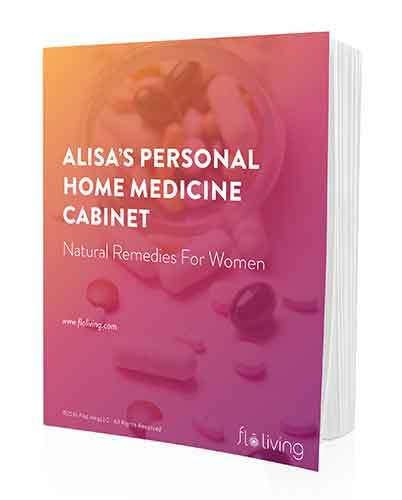 It’s best to transition off hormonal birth control safely and discover what is the root cause of your hormonal health issue and set about treating it with a natural protocol. You can start my MonthlyFLO program while still using hormonal birth control and it will ease and smooth your transition off, ensuring less symptoms and withdrawal effects. I am trying to download the 4-day hormone detox program, but when I type in my email address, it states that I am already registered. How can I access this? So sorry you are having this issue! Please contact Stacey@floliving.com for support!